We see a lot of exciting developments ahead for employee advocacy in the year 2018. 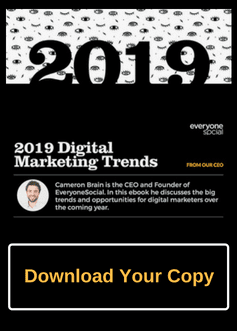 While employee advocacy has grown steadily for the last couple years, 2018 looks like it’s going to be a great leap forward, a step change if you will. Below are our top nine employee advocacy predictions based on what we already see happening. If you and your company have been sitting on the sideline, not sure when might be a good time to launch your own program, now is the time to jump in. And if you’ve been running a program of your own for a year or longer, 2018 is going to offer a lot of opportunities to scale, opportunities that simply weren’t possible 12-24 months ago. One thing is for sure, 2018 is going to be exciting. We’re talking about how social networks prioritize the posts presented to their users. Both Facebook and Snap have announced major changes to their ranking algorithms to prioritize the posts of users over brands and publishers. This is going to be a continuing trend for all social networks: posts from users will always (always) be prioritized over all else. It’s about survival: a social network’s success comes from user engagement, which is primarily driven from user-to-user interactions. The more brand and publisher posts, the less meaningful interactions between users (sorry, it’s just a fact). If you want to learn more about this I suggest reading the post I wrote on the topic. Facebook recently announced a shift in their algorithm to further prioritize posts from your friends and family. Yet, there is still a massive opportunity for brands and publishers to leverage this change. The holdouts are a diminishing group; unless you’re inclined to wear a tinfoil hat, there is no industry, role, geo, etc. for which there aren’t real benefits to establishing your professional profile online. 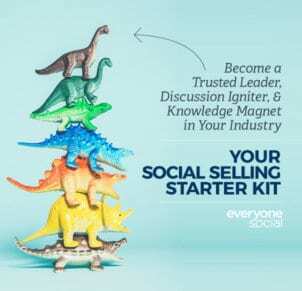 For the seasoned pros–those who have already tasted the benefits–social is going to continue to become more ingrained in all of their professional habits and activities. Remember, when we talk about using social media for professional purposes, we’re not just talking about sharing content (as some would have you believe). It’s about leveraging social to achieve whatever end you’re working towards. You would think that b2c companies would be all over employee advocacy programs, however, they haven’t been. Why? In our experience, B2C companies by their nature are highly transactional and tend to look at most marketing, especially digital marketing as having to be directly tied to unit-level transactions (number of products sold). I remember talking with a large e-commerce company a few years back who told me “Sure, well put an employee advocacy program in place. However, if we don’t see x products sold for every employee share, we’re going to pull the plug.”. Sorry, but that simply doesn’t work. Needless to say, we opted not to work with that company. That said, we’ve always believed there is a tremendous opportunity for b2c companies (especially brands) to leverage employee advocacy. More than b2b companies, b2c brands (assuming they have a positive brand reputation) are loved by consumers and employees alike; often times people choose to work at a b2c company because of their feelings about that brand. Simply put, b2c brands INVEST in making their brands something that people love, which is a fantastic foundation to build an employee advocacy program on. We’re seeing more b2c brands wanting to build sustainable employee advocacy programs; it’s still the minority, but we fully believe this will be a continuing trend and that before the end of 2018 we’ll see some very high-profile, large-scale programs in place. Everything consumer will eventually make its way into the business world. That’s our thinking at least. Employee advocacy programs to date have largely centered around corporate content: content produced by a company and pushed to their employees for sharing. Employees have had some ability to curate and share content on their own, however, it typically has not included anything that they (the users) created themselves. We see this changing in 2018, especially as b2c brands get more serious about employee advocacy. Certainly guidelines and standards will continue to be important, however user-generated content represents a big opportunity: the success of an employee advocacy program is all about how an employee’s network engages with the content they share with them. Along those same lines, we expect to see a lot more video and photo content being shared by employee advocacy programs. The majority of content consumers post on Facebook, Instagram, Twitter, and other networks are videos and photos because those are the richest, most engaging thing that can be shared. Everyone–be you an individual consumer or an employee at a Fortune 100 company–is after the same thing: likes, clicks, retweets, new followers/connections, etc. Sharing photos and videos garner the best results. To give you a sense of how much rich media matters: in 2017 we saw that tweets from our users that included an image were engaged with more than 2x over tweets that didn’t include an image. More on that as the year gets on. 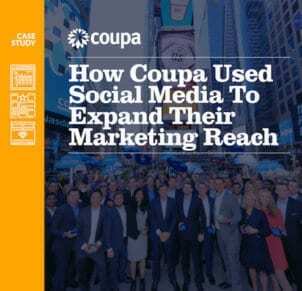 In years past many of the companies wanted to take it slow with the rollout of their employee advocacy programs, and for good reason: everyone was still figuring it all out. Now, with years of experience under our belts, many of the basic rules around how to operate a successful program are known and pretty well standardized (i.e., what makes a program successful for one company generally applies to another, even if they’re smaller/bigger, in a different industry, etc.). As a result, we’re starting to see employee advocacy programs grow significantly. In the last quarter alone we’ve had multiple clients go from zero to thousands or in some cases tens-of-thousands of users. While it’s still not as simple as pushing a button, it is a lot easier to launch a program as scale than it was a few short years ago. By the looks of it, 2018 may be the first year we see single programs exceed 100,000 active users. 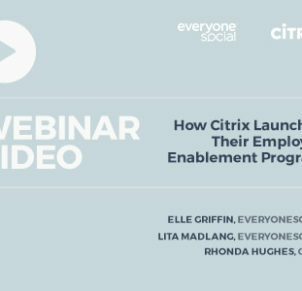 Implementing an employee advocacy program can be challenging, but a well-thought-out launch plan can make a BIG difference. This guide will walk you through the entire process. Going along with the trend towards more user-generated content, we’re seeing more companies allow their users to curate and approve content into their programs. 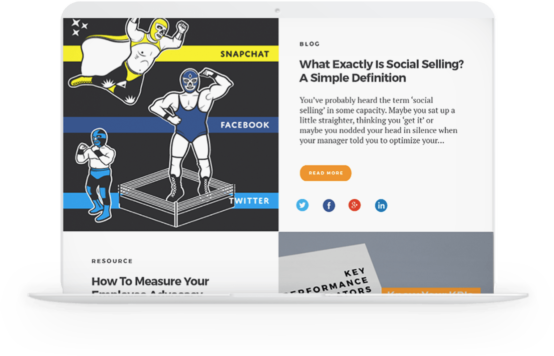 Said differently, companies are allowing users to submit content directly to their employee advocacy platforms without requiring that content to be approved by an administrator. This is very significant. Consider that ALL content on social networks (at least all of the most engaging content) is submitted by users. We’ve also found that with our own users, the most engaged-with content on the EveryoneSocial platform is content that was submitted by users, not admins. No question new challenges will arise from giving employees the ability to submit any content they choose, however it’s safe to say that things are heading in this direction and we expect to see more programs that allow their users to submit content without admin approval in 2018. If you’ve spoken with me or anyone on our team, you may recall we frequently say that engagement (how often your people use a tool you’ve provided them with, like EveryoneSocial) is the #1 driver of employee advocacy success. Doesn’t matter what your company does, how many employees you have, how sophisticated they are, what your program goals are, the #1 driver is user engagement. As a result, more and more companies are starting to pay attention to internal engagement metrics in addition to the external metrics (i.e.g, shares, clicks, referral visits, etc.). Internal engagement is what leads to external engagement. This is another area where consumer software standards are making their way into the enterprise: in the consumer world, success is all about acquisition, retention, and engagement. If you’re not focused on tracking and setting goals around those areas for your own program, you’re playing in the minor leagues. Mobile is the key to supporting larger and more engaged employee advocacy programs. Desktop applications, long the primary means by which people have accessed employee advocacy platforms aren’t going away, but they’re going to be eclipsed by mobile apps by the end of 2018. The reasons are simple and again mirror much of what we see going on in the consumer software world: work doesn’t exclusively happen from 9-5 while we’re sitting behind a desk. We’re on the go, we work remotely, we’re in meetings, on the road and we need to be able to fit our tasks into an increasingly fluid/fractured day. Mobile apps make that simple, especially when it comes to employee advocacy. As an employee, you can find an share content in a matter of minutes on your commute into the office/back home, on the plane, before you go to bed. Being an active participant in an employee advocacy program has never required much time (a few minutes a few times a week), however, mobile allows you and your people to better fit that into their schedules and lives, thereby increasing engagement and results. So, there they are, our top 9 employee advocacy predictions for 2018. I have a feeling that in addition to the above we’re going to see some other (exciting) surprises, however, we’ll just have to wait and see. 🙂 One thing is clear though: there is no better time to launch an employee advocacy program, or if you already have one to take it to the next level. 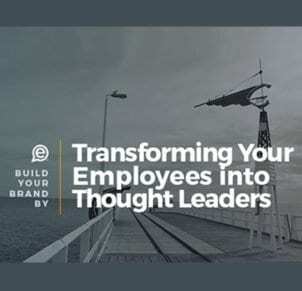 Interested in learning more about an employee advocacy platform to help turn your workforce into powerful marketers, sellers, and recruiters? Request your demo of EveryoneSocial and see how we help Dell, Adobe, and many others.